Unifor, the union representing autoworkers at the Oshawa Assembly, has announced that General Motors will be the target company for ongoing contract negotiations. Jerry Dias, the union’s president, previously told The Oshawa Express that the future of vehicle production in the city is at stake with these talks. The contract between Unifor and GM expires at 11:59 p.m. on Sept. 19. General Motors is on the clock. The automaker has been chosen by Unifor as its target company for ongoing negotiations with the three main American automakers, which also includes Ford and Fiat-Chrysler. “These negotiations are about the future of local communities, good jobs and the industry,” Jerry Dias, Unifor’s national president, said at a Toronto press conference. In a vote late last month, unionized autoworkers overwhelmingly voted in support of a strike mandate. This means that if an agreement is not reached by the time the union’s agreement expires – 11:59 p.m. on Monday, Sept. 19 – then members are willing to walk off the job. When he spoke with The Oshawa Express last month, Dias said a key part of negotiations with GM is to save the Oshawa Assembly. “When General Motors says, ‘Listen, we’re going to get through negotiations first and then we’ll make decisions,’ that tells us that we are absolutely correct that General Motors’ intention is to close the Oshawa plant. That’s not going to happen,” he said, adding that it is hypocritical for GM to take this position when, during negotiations with the United Autoworkers for its operations down in the U.S., it announced it was committing $8.3 billion in new investments for American plants, resulting in 3,500 new jobs. 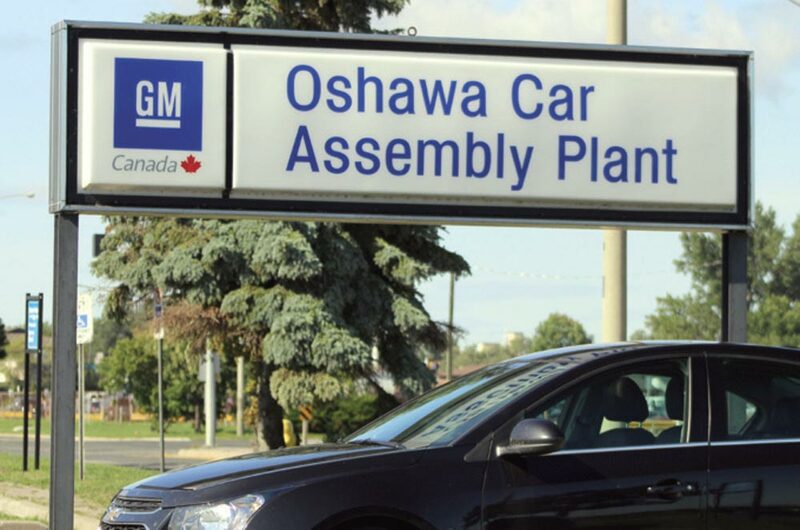 GM has maintained for the past two years that it will not announce any new product allocation to Oshawa until a deal with the union has been completed. With General Motors being chosen as the target company, Unifor’s negotiations will focus solely on the automaker to reach an agreement “that sets a standard for the auto industry in Canada,” according to a news release. Once an agreement has been reached with GM, Unifor will move on to one of the two remaining automakers. “The strength of the auto industry in Canada is not only vital to those in the industry, but to the entire Canadian economy,” Dias said.